We are excited to, once again, be hosting Forge Fair 2019 in Cleveland, Ohio, USA. 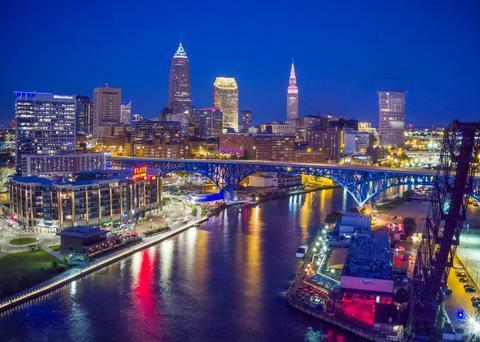 From world-class museums and scenic parks to ethnic eats and gridiron greats, Cleveland offers a wide range of attractions, dining options, accommodations and activities that are sure to make you feel welcome during your visit. As a five-time All-America City winner, Cleveland boasts the people, places, and things that represent the best in the Midwest. Whether you’re looking for high-energy or low-key, there’s something for everyone in this “rock and roll” town. Destination Cleveland is your resource for all things Cleveland. Click here to learn more about the city and all that it has to offer. We have your audience! Let us help you succeed at North America's largest forging industry trade show. See what’s new, learn about exhibiting and reserve your space today.